Pioneering integrated technology solutions provider, TYE Solutions announced a new partnership with the Indian Institute of Drones (IID) that will enable both organisations to collaborate in establishing a professional standard for drone operators in Sri Lanka and pave the way for new, well-paying and engaging career opportunities for young Sri Lankans. A response to the rapidly increasing demand for innovative drone solutions, TYE’s partnership with IID is aimed at unleashing a new wave of vibrant commercial employment opportunities for Sri Lankan youth, leveraging on the vast and growing array of applications for drones across tourism, entertainment and leisure, to marketing, transportation, logistics and scientific research. “Our partnership with IID represents a vital and unique milestone for the Sri Lankan economy. All across the globe, advancements in drone technology are yielding unprecedented opportunities for individuals, companies and governments to gain unprecedented access to innovative new capabilities in videography, surveying and data collection. “With each passing year, these technologies become more affordable and more advanced in quality. The size and weight of sensors keep shrinking, which allows us to be able to pack more into each drone so in just a few more years, we are confident that drone technology will start to revolutionise business and personal life for all Sri Lankans. 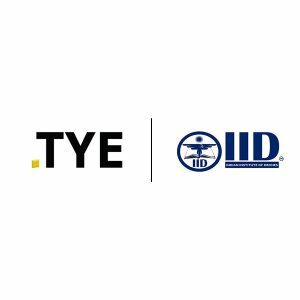 Our goal in partnering with IID is therefore to lead the charge on these extremely promising new technologies,” TYE Solutions CEO/Director Zahid Fuard explained. Particularly in the context of recent regulations from the Civil Aviation Authority, and further regulations anticipated as drone technology becomes exponentially more prevalent – both commercially, and recreationally – he noted that the partnership would be vital in establishing a globally accepted common standard for drone operators. Established in response to the massive demand for certified drone operators conversant on standard operating procedures and applicable regulations in the Indian market, IID utilises the skills, expertise and experience of military qualified pilots and drone operators to train individuals in the civilian sector. The institute is affiliated with Consortium of Unmanned Vehicle Systems (CUVSI) India under the aegis of International Foundation for Aviation and Development (IFFAAD). “Over the next few months, TYE Solutions will be making some important announcements on this front. We are confident that this will pave the way for new employment opportunities which will have unprecedented positive implications for corporates and for the public sector in a diverse variety of fields,” Fuard explained. Established in 2012, TYE Solutions has rapidly emerged as a competitive presence in the Sri Lankan market powered by a simple message: ‘Technology Yields Empowerment’. The company’s operations are based out of the TYE Solutions Head Office in Colombo and through its regional offices in selected countries across the APAC and European regions. Operating across an expanding global network, TYE Solutions works closely with local and international clients and partners in order to mitigate risk and organisational inefficiencies through the utilisation of cutting-edge technological innovations harnessed to solve real-world business problems. The TYE Solutions business model is based on the firm belief that technology will drive a new paradigm in convenience and simplicity for businesses.